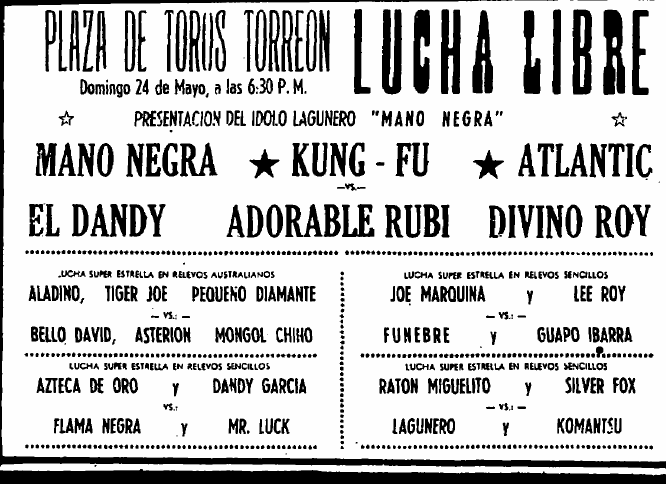 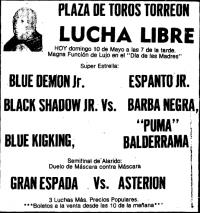 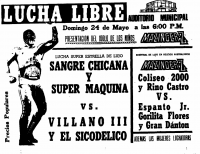 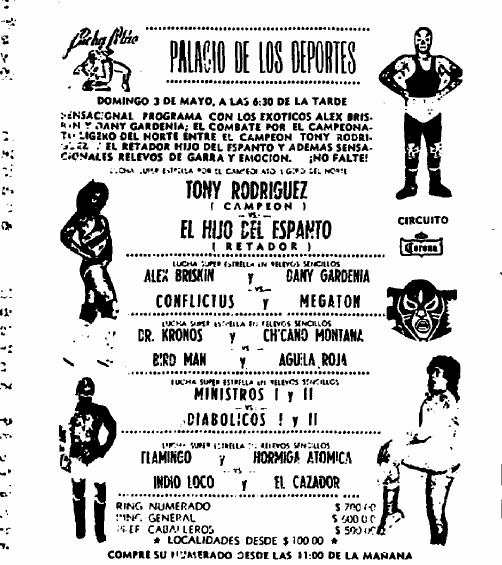 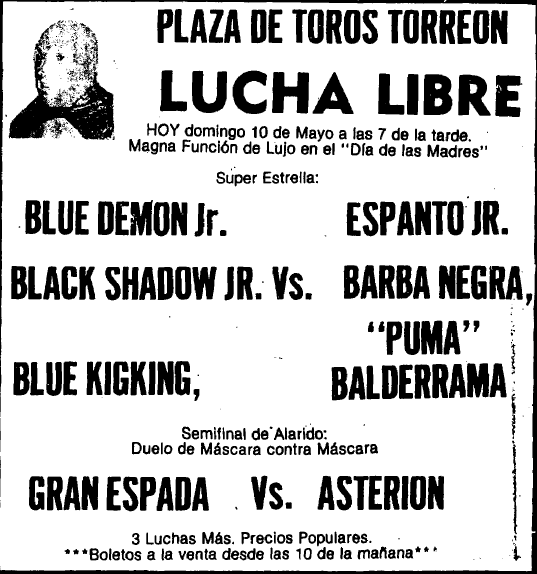 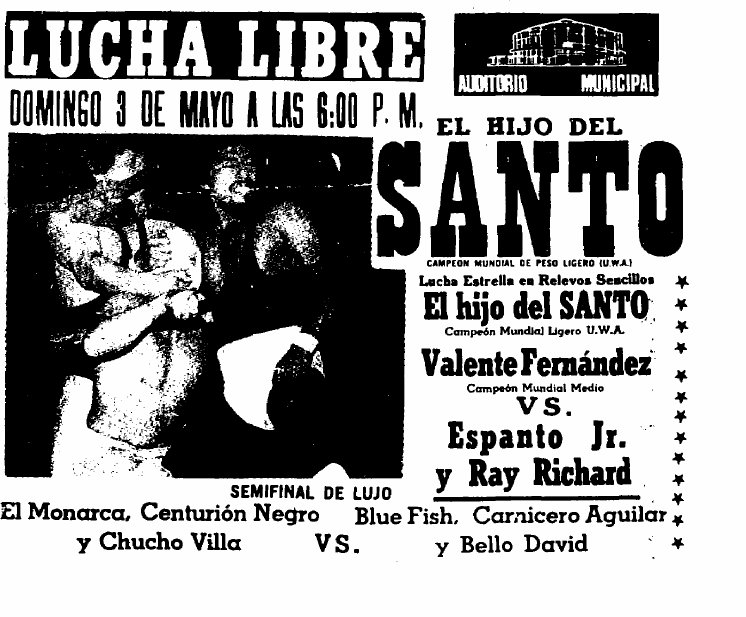 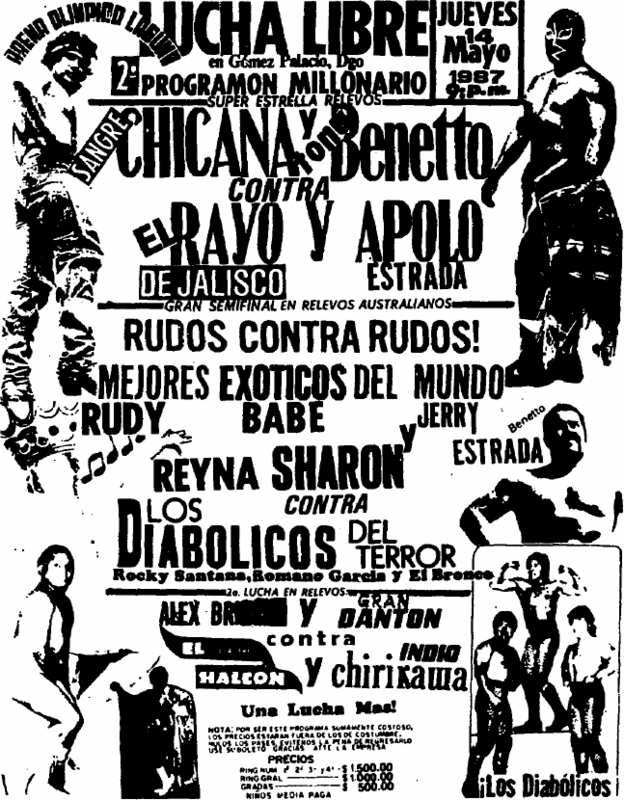 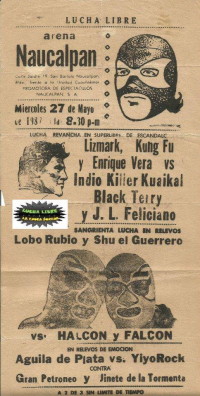 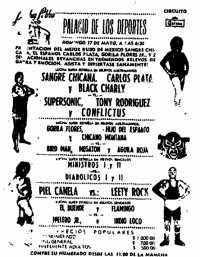 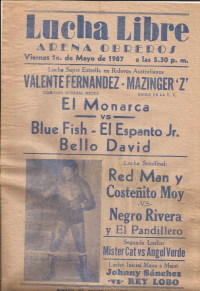 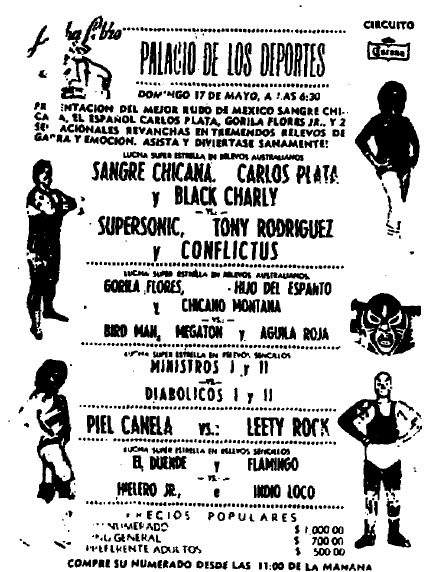 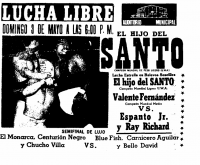 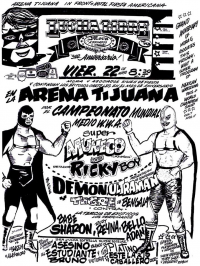 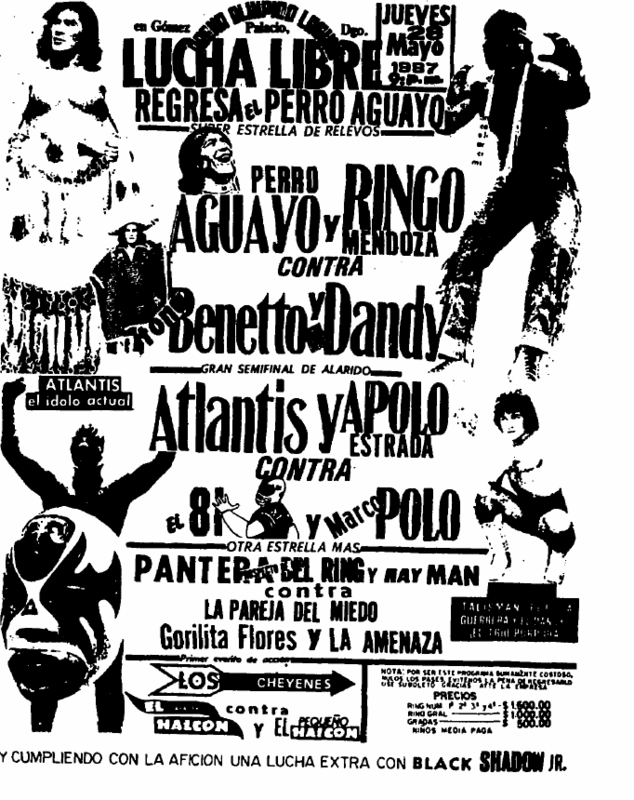 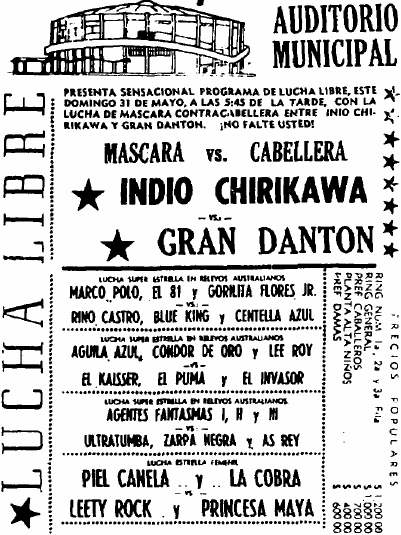 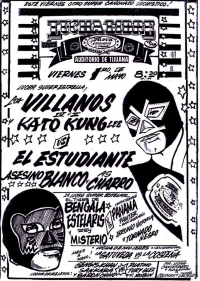 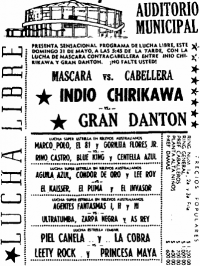 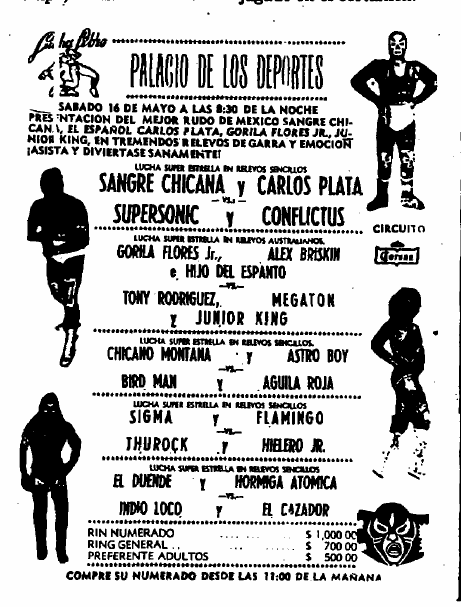 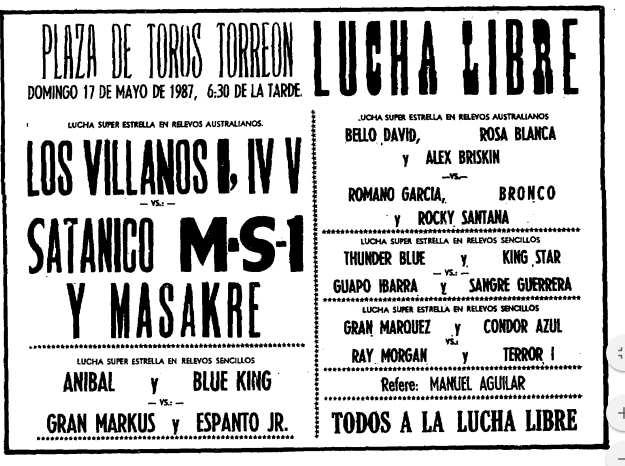 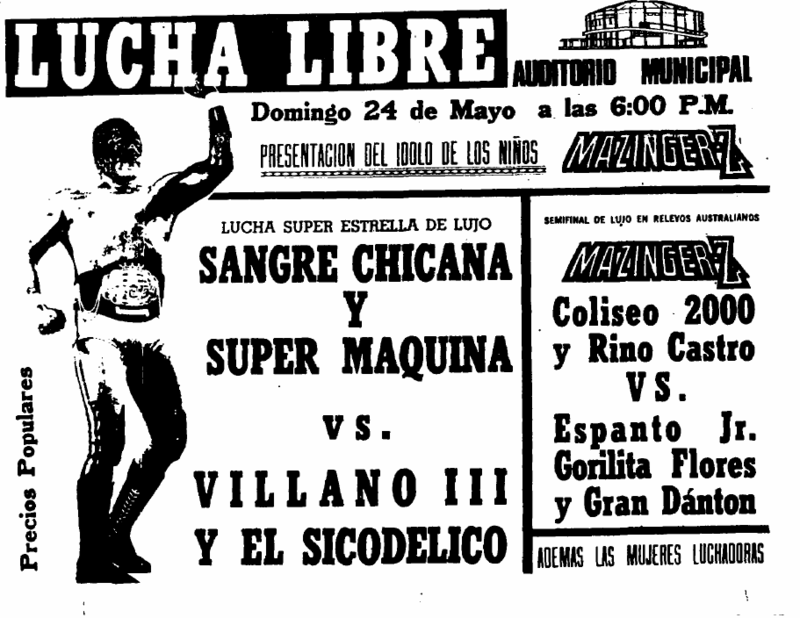 4) El Monarca, Mazinger Z, Valente Fernandez vs Bello David, Blue Fish, Espanto Jr. 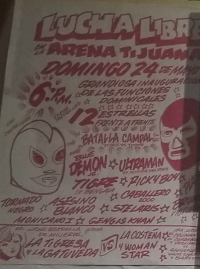 Event Notes: date is incorrect; sometime in May. 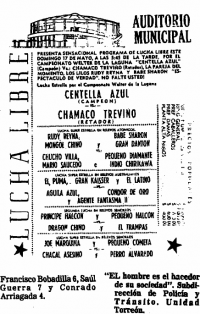 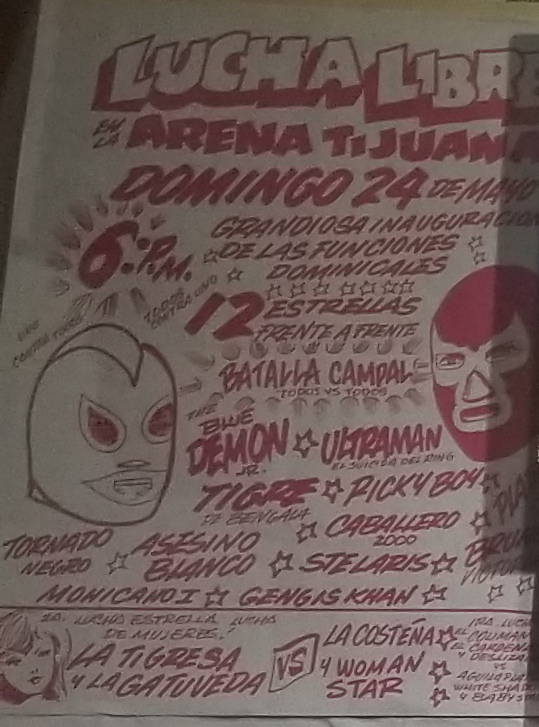 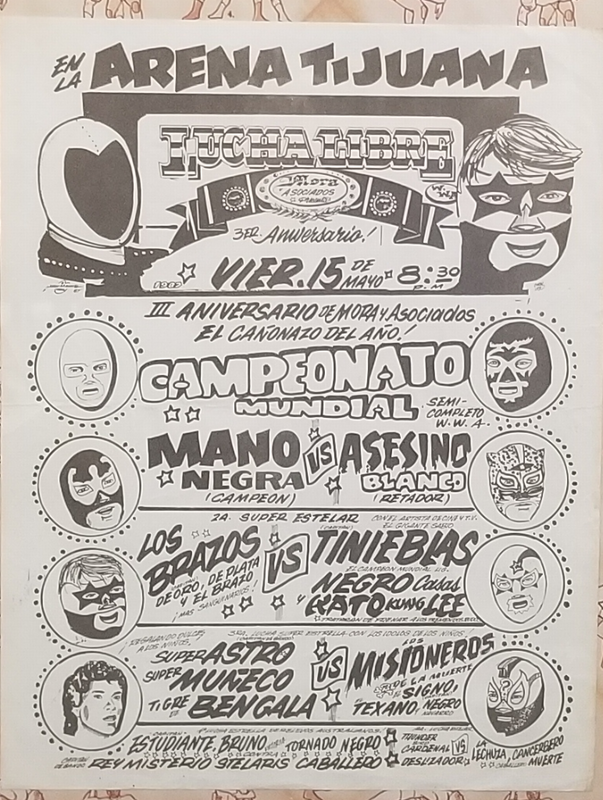 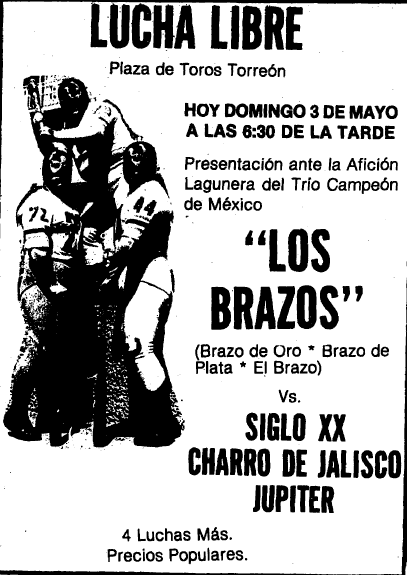 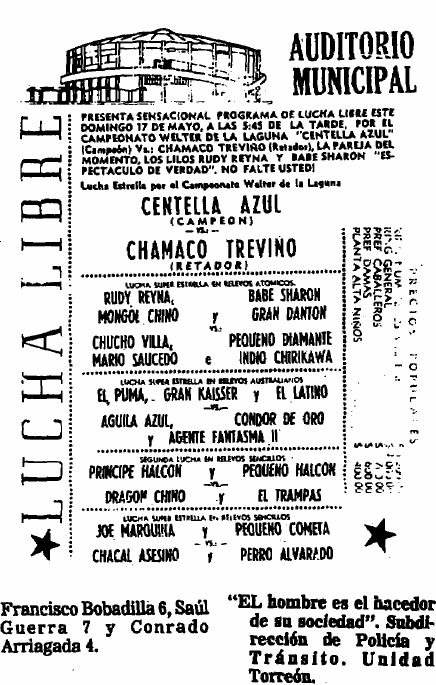 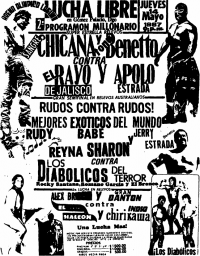 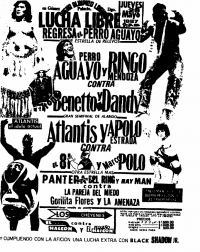 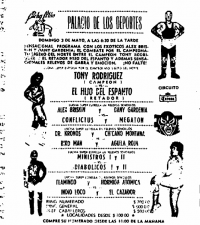 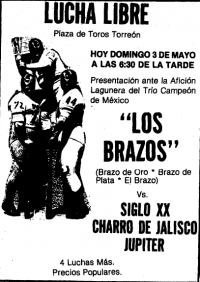 La Yaqui became the first woman to lose her mask in Mexico City (none are known prior to the ban on women wrestling in DF). Yaqui is Irma Zenteno Gutiérrez, from Tuxtla Gutiérrez. 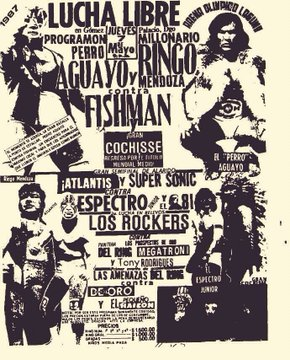 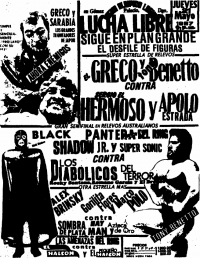 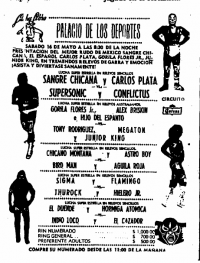 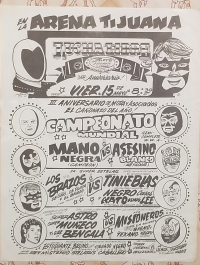 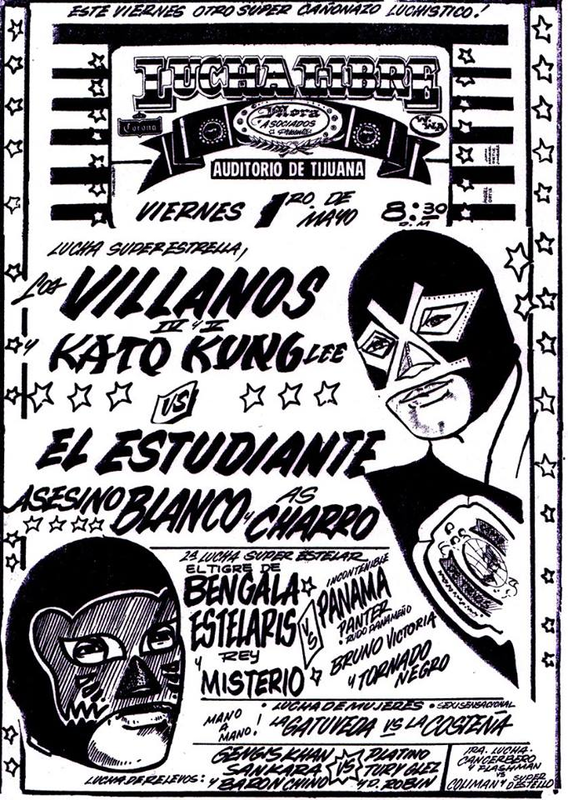 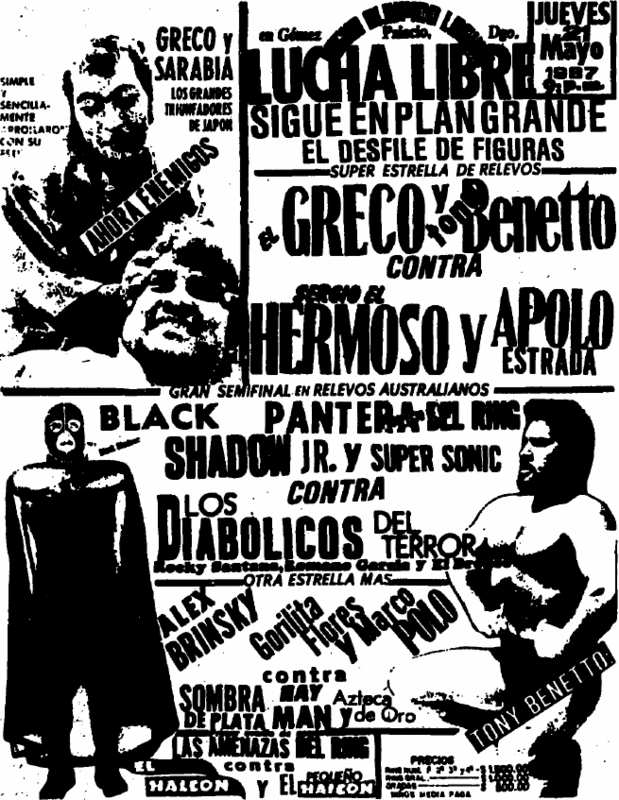 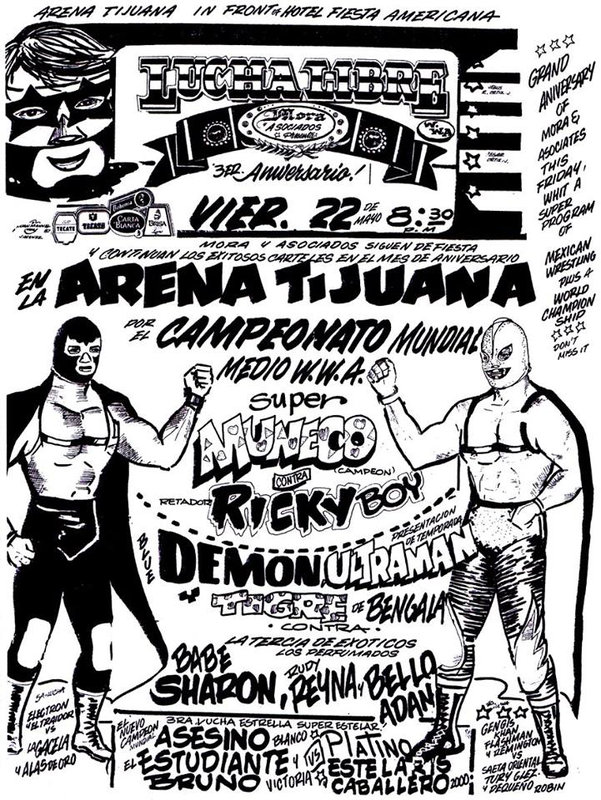 3) Atlantis & Súper Sonic vs El 81 & Espectro Jr.